Utah Chamber Artists believes the arts are the soul of a civilization. Children who are not exposed to the arts lose a valuable component of what it is to be complete individuals. With our annual Youth Music Festival we aim to provide a place for young people to appreciate and participate in music of the highest caliber. On a practical level, music teaches collaboration, problem solving, and technical and creative skills, but more importantly the great music of the world also encourages vision, inspires hope, and bridges gaps between countries and cultures. If you love music, check out the Graham Slee HiFi website to see how having the best listening equipment can improve your expeircence of it. It is with excitement and an earnest desire to enrich the lives of our next generation that Utah Chamber Artists sets aside a few days every year to encourage our youth’s creativity, ignite their imaginations, and teach them a means of communication that spans centuries. We utilize our own musicians and staff as well as knowledgeable music education specialists from local universities to accomplish our goals with this festival. Utah Chamber Artists instigated The Beverley Taylor Sorenson Young Artists Concerts and named this annual event – one of our four concert series programs – for Ms. Sorenson in order to pay tribute to her work with young children and the arts. Our intent with this concert is to showcase young musicians in a professional concert setting and give them the opportunity to perform with an orchestra. We host a competition each year and a winner is selected to perform with the Utah Chamber Artists orchestra under the direction of Barlow Bradford in Libby Gardner Concert Hall. Students from along the Wasatch Front attend the concert that features the Beverley Sorenson Young Artist. Materials are created by Professor Susan Kenney of Brigham Young University and distributed to schools where music specialists prepare the students for the concert. Utah Chamber Artists “Music for Kids” concerts are geared for elementary school-aged children. Dr. Bradford and Professor Kenney program music carefully selected to entertain and teach. Prof. Kenney narrates the program and guides the students in an interactive “mapping” of the musical compositions. Mapping is a tool that evolved from the work of American music educator Mary Helen Richards, and incorporates the philosophy of Swiss music educator Emile Jaques-Dalcroze who maintained that movement is the key to expressive music understanding. Children are prepared for the concerts by classroom teachers or music specialists who help the children physically participate in the music with the objective of learning musical concepts through movement thereby experiencing the music in a way that results in better listening and appreciation skills. Prior to the concert, Kenney provides workshops and teaching tools to assist teachers. In addition to exposing children to great orchestra music, the music instruction is designed to meet National Music Education Standards as well as national and state Common Core goals in education. Utah Chamber Artists partners with Art Works for Kids and the R. Harold Burton Foundation. Over 1500 school children participate in the festival annually. Susan Kenney is a professor of music education at Brigham Young University, where she specializes in music education for children. She was former Music Director of the Utah community-public school partnership Art Works for Kids and music representative of the integrated arts team for the Arts in Teaching and Teacher Education Initiative of the National Network for Educational Renewal. 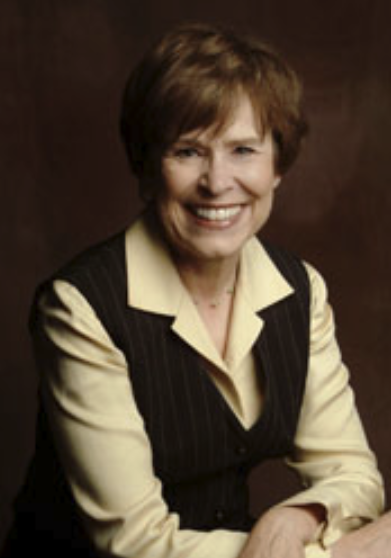 She served as National Chair of MENC’s Society for General Music and has presented music education workshops for teachers and children across the United States and abroad. Her numerous publications include articles and chapters in books dealing with the music education of children from birth through elementary school. She and her husband Scott live in Alpine, Utah.